Treasure Data is happy to announce the new partnership with SIOS Technology (here is SIOS Technology’s press release). Together, we plan to deliver Treasure Data’s Cloud Data Warehousing service to more than 1,000 companies in the next 3 years. As many of you know, Treasure Data has already partnered with PaaS companies like Herokuand Engine Yard and Cloud BI Tools companies like Jaspersoft and Indicee. However, SIOS Technology is the first of its kind. Founded in 1997, SIOS Technology has been delivering application and infrastructure software for big enterprise customers across verticals in Asia and the Americas. In particular, SIOS Technology is an expert in the adoption, deployment, and management of Open Source software in Enterprise IT and has been one of Red Hat’s largest and most trusted partners in Asia Pacific for the last two decades. They are no stranger to cloud computing either: as early as in 2010, SIOS launched projects to bring the power of cloud computing to large enterprises, and for the past few years, they have been collaborating with Google to accelerate Google App Engine’s adoption. By combining SIOS’s expertise in delivering high-quality software and Treasure Data’s innovative platform, we are confident we can help our customers unleash the full potential of their growing data. 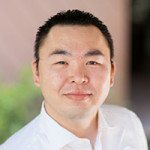 CEO & CoFounder of Treasure Data, Hiro is an open source software business veteran who began his career at Red Hat as an engineer and later transitioned to business development and product marketing. He successfully introduced Red Hat Linux into several transnational companies. Prior to starting Treasure Data, Hiro worked at Mitsui Ventures, where he led several key software investments for the firm.